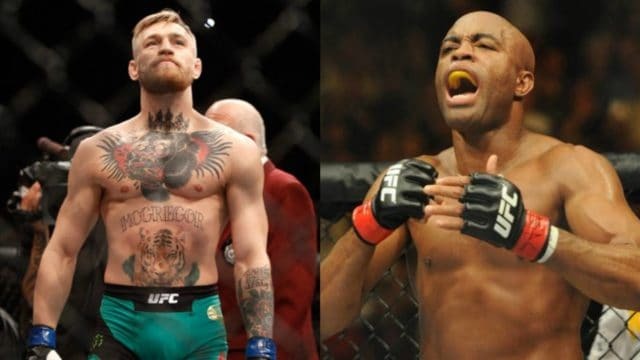 Conor McGregor expresses interest in fighting former UFC middleweight champion Anderson Silva when asked about future possibilities in a recent interview. First though, the former UFC lightweight and featherweight champion has to get past his next challenge. That is to take on lightweight champ Khabib Nurmagomedov in the headliner of the upcoming UFC 229 pay-per-view event. McGregor has already gone on record by stating that if Nurmagomedov can’t make weight for this title fight and has to pull out, he’s willing to fight someone else. Tony Ferguson vs. Anthony Pettis in a lightweight bout will co-headline this show and the belief is that the UFC would have one of these fighters step in to fight McGregor in the main event. As always with these times that McGregor is fighting, he’s asked what’s next if he wins or loses in his next fight. That was no different when he was speaking with Ariel Helwani on his MMA show on ESPN. 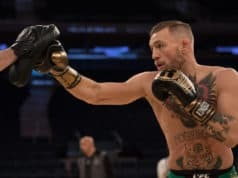 McGregor was also asked about another major draw in former UFC welterweight and middleweight champion Georges St-Pierre. However, he suggested a different name because he doesn’t seem too interested in this fight. Instead, he wants a fight with Silva. 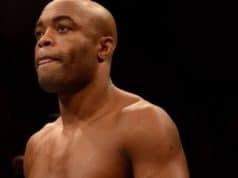 The reason that he wants this fight with Silva is due to him being an MMA Legend.